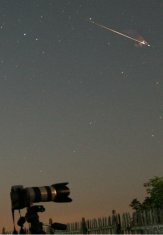 This picture was secured at my backyard observatory in Courtenay B.C. 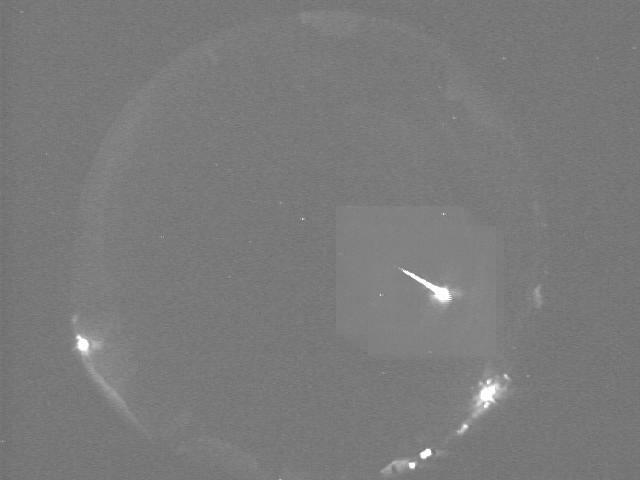 Canada with a Sandia All-Sky Sentinel Camera: 13 Aug 2008 at 10:00:06 U.T. 03:00:06 P.D.T. 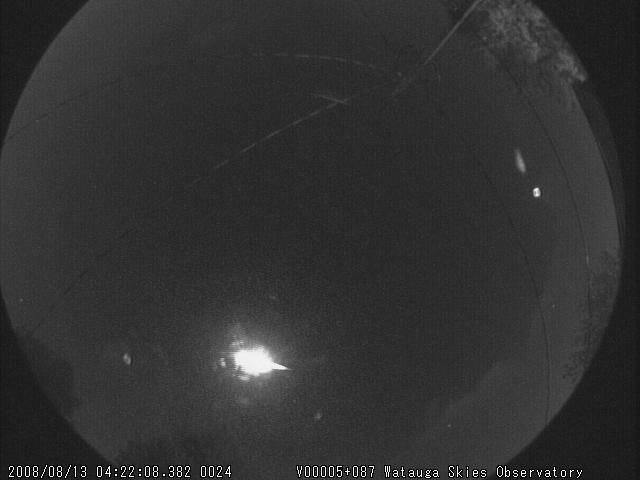 The Watauga Skies Observatory All-Sky camera captured a stunning fireball at the peak of the Perseids meteor shower! 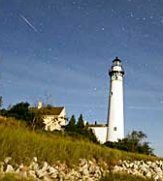 Capture software evaluates the meteor to be magnitude -5.0. 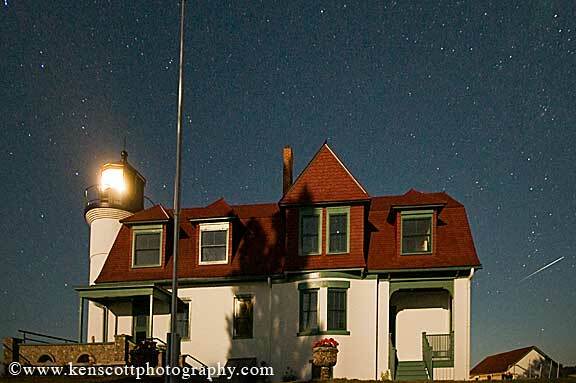 Look closely to see the sky, trees and the telephone pole are illuminated by this brilliant, yet brief visitor. 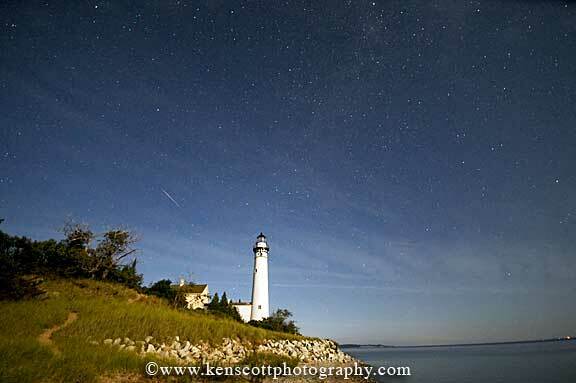 This was the highlight of the Perseids meteor shower! 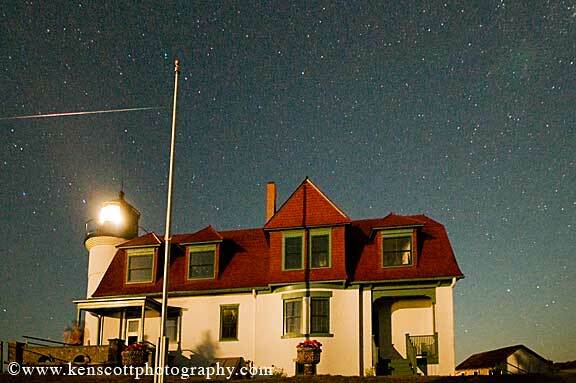 The peak meteor count for the shower was 31 meteors on the evening and morning hours of the 12th-13th. 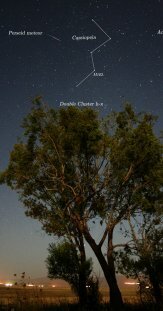 The observatory is located under highly light polluted suburban skies - Bortle scale 7-8. 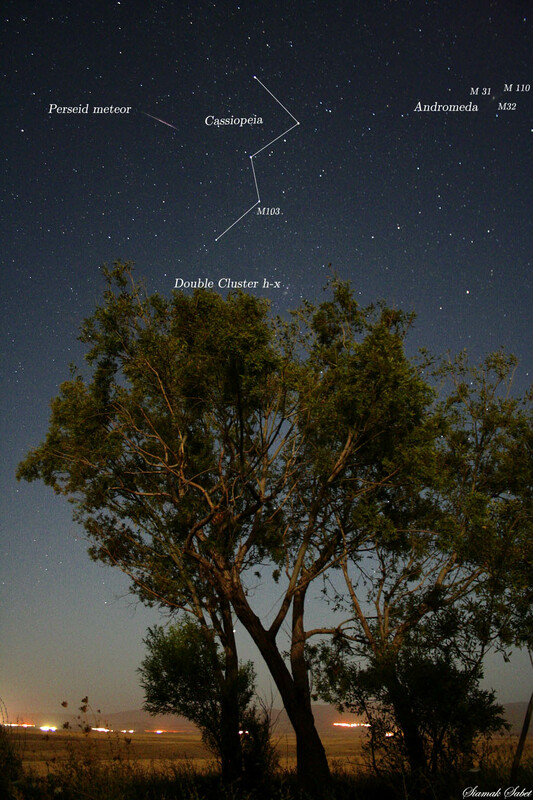 All-Sky camera: PC164C b/w camera, f/1.2 6mm lens. 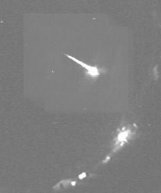 Also included: Summary of August meteors detected by the All-Sky camera for August, and composite image of the the fireball trail. 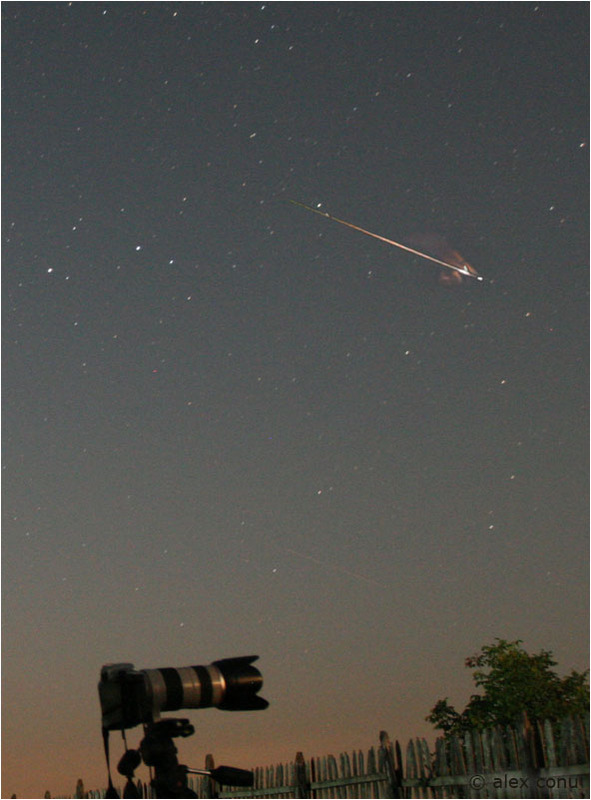 Watauga Skies Observatory is a private observatory located in Watauga, Texas, USA. 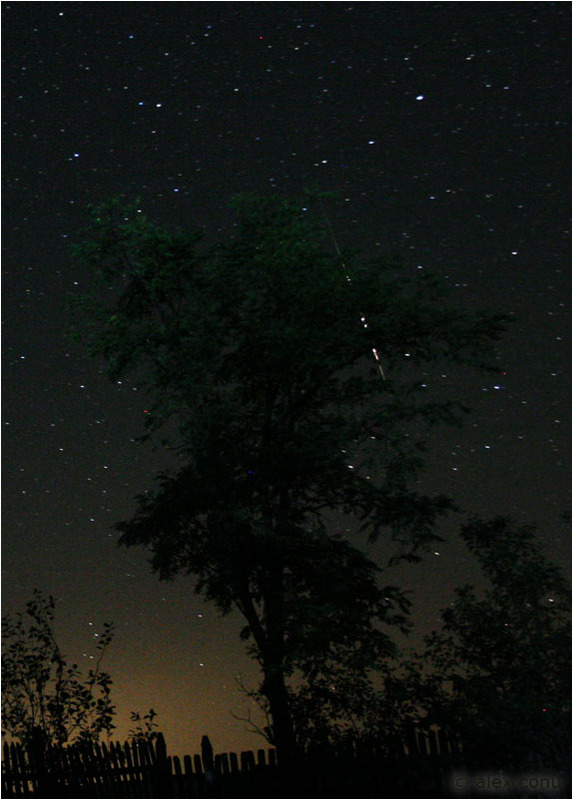 I organized a small camp in the Romanian countryside to observe this year's Perseids maximum. 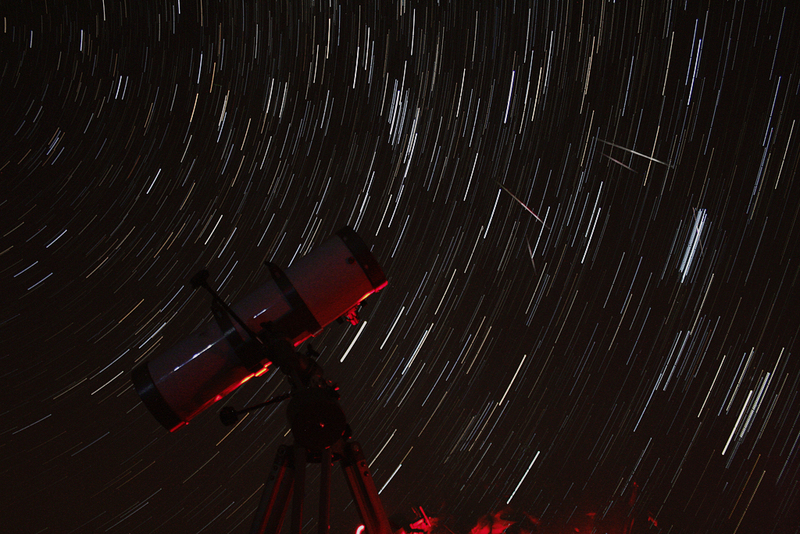 8 other Romanian amateur astronomers attended. 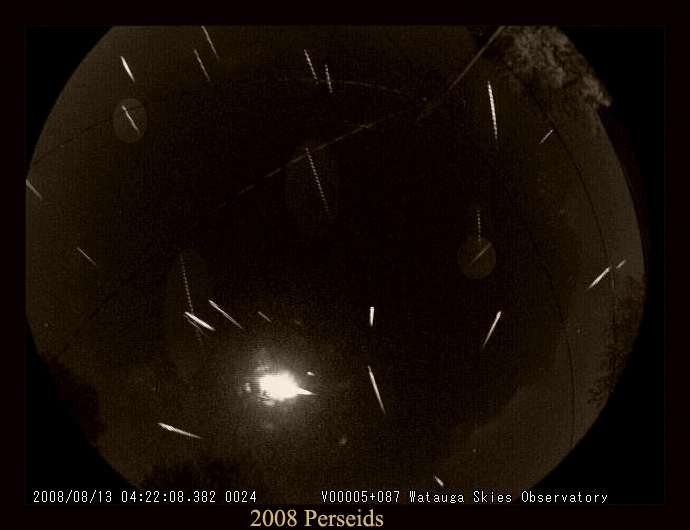 The Perseids put on a great show in the night of 12/13 August. Too bad I HAD to go to bed at 3:30 and lost much of the good stuff. 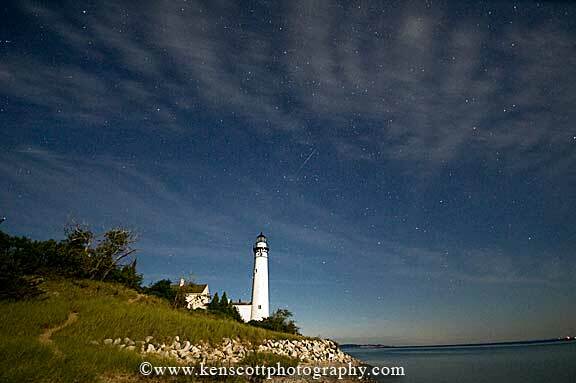 Pt Betsie near Frankfort Michigan and South Manitou Island on Lake Michigan.